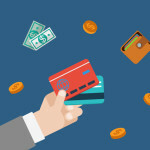 How do you know which marketing ideas to focus? Episode 037: How do you know which marketing ideas to focus on when you have so many? 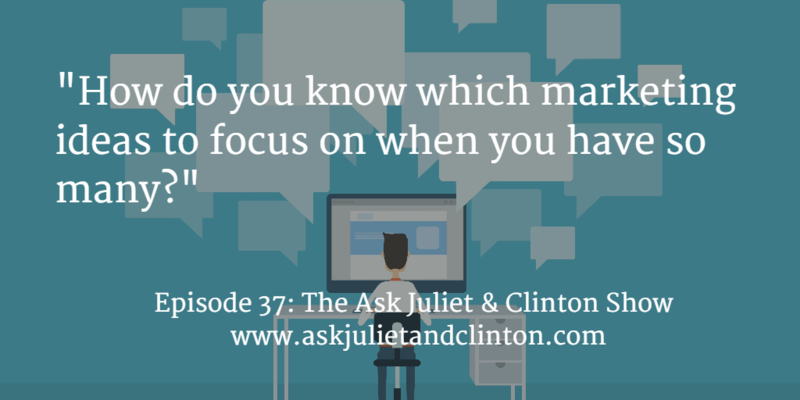 In this episode Juliet and Clinton answered questions about which marketing ideas to focus on when you have many, how to get your counselling blog seen by a larger audience, and economical ways to get help updating a therapy or natural health website. Episode 036: How can I promote my business without appearing desperate for clients? Episode 038: How do I recruit clients for my therapist training programs? 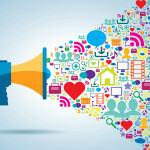 Episode 027: Should I share my blog posts across ALL social media accounts? 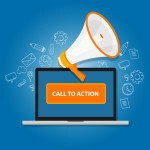 Episode 063: What’s the best call to action to have on my natural health website? 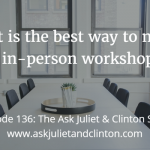 Episode 136: What is the best way to market an in-person workshop?